MAKE A DONATION - Help us make sure that Xi Jinping hears our calls for freedom in Tibet loud and clear. 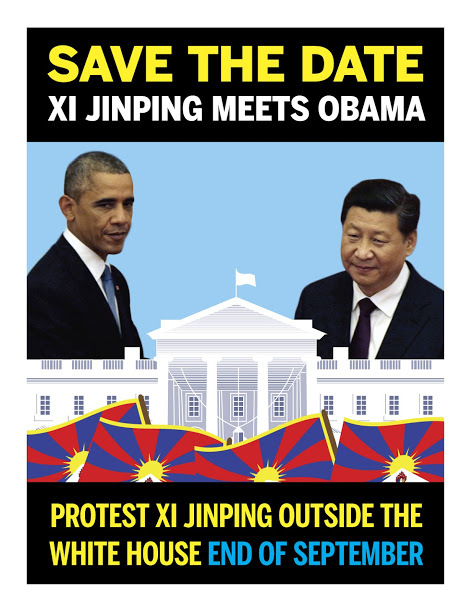 Despite his failures in Tibet, Xi Jinping will be officially welcomed to the White House in Washington DC by President Obama in late September. And that is why Xi Jinping needs to hear our calls for freedom in Tibet loud and clear! Let’s tell the man behind the crackdown against Tibetans in Tibet that he will be held accountable for his atrocities - that wherever he goes, his shame will follow him. We need your help to make this happen - please make a donation towards our protest in Washington, DC. Other gift amount Enter amount. © Students for a Free Tibet. All rights reserved.